Gregg is a founding member of Corrigan, Baker & Levine, LLC. He has been practicing law for 30 years and concentrates in several practice areas including real estate, zoning and land use, landlord/tenant and commercial litigation. Gregg has successfully handled hundreds of commercial and residential real estate transactions, including sales and acquisitions, leasing and financing. He also has extensive experience in all types of matters involving condominiums, cooperatives and homeowners associations. As a seasoned zoning attorney, Gregg has represented developers throughout the New York Metropolitan area with respect to complex residential, commercial, industrial, religious, educational and mixed-use developments. He has successfully handled all types of zoning applications, including subdivisions, site plans, variances, zoning amendments, special use permits, wetlands permits, steep slopes permits and environmental approvals. He also has extensive experience in landlord/tenant matters. In addition to leasing, he has successfully prosecuted numerous eviction proceedings in virtually all of the local courts, for both commercial and residential landlords. 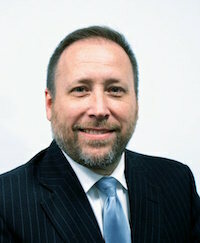 Gregg’s litigation experience also includes prosecution and defense of commercial, business, property, and other types of disputes in the State and Federal Courts, including several successful appeals. Gregg currently serves as a member of the Board of Governors of the YMCA of Central and Northern Westchester, and is Chairman of the Advisory Board of the White Plains YMCA. In 1999, he formed The Gregg S. Baker Law Firm, a predecessor to Corrigan & Baker, LLC. Before that, Gregg gained experience in all of the above areas of practice as an associate at two prominent Westchester County law firms.